The lyrics for this Australian folk song were written by Banjo Peterson in 1895. The tune was called ''The Craigielee March''. But the original tune is much older and hales from Scotland called ''Thou Bonnie Wood of Craigielea'', which was written by James Barr in 1818. 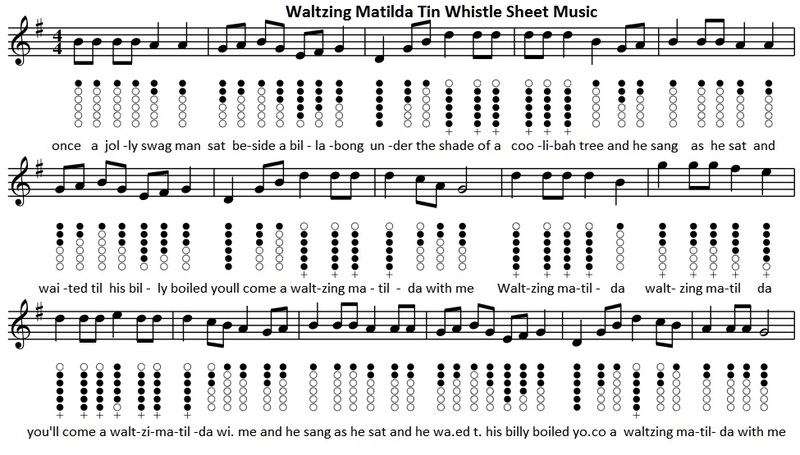 The sheet music here is set in the key of G Major and is suitable for the D whistle. Puff The Magic Dragon tin whistle notes are also included. Below is Puff The Magic Dragon whistle notes.